Here’s a test of your Japan knowledge: What’s the nation’s capital city? Trick question. The correct answer is: It doesn’t have a capital city. You see, Tokyo is not technically a city, but a prefecture encompassing 26 市(shi, cities), 23 区 (ku,wards), five 町 (chō or machi, towns) and eight 村 (son or mura, villages), as well as islands up to 1,000 km away from the global metropolis that does in fact serve as the nation’s 首都 (shuto, capital). 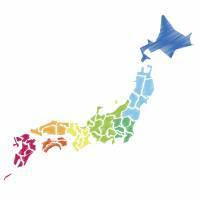 Including Tokyo, Japan has 47 “prefectures,” an English term that disguises some complexity. Japanese uses four separate terms — which can be found bundled together in the compound noun 都道府県 (todōfuken) — to express the same concept, though the difference between them is mainly historical. The northern island of 北海道 (Hokkaidō) constitutes a single prefecture, but is a 道 (dō), the name given to now-defunct administrative subdivisions of pre-modern Japan. In the old days, dō were more provincial and distinguished from 畿 (ki), another archaic term once used to describe the capital and surrounding areas administered directly by Kyoto when it was shuto. Ki is rarely used now except in the occasionally giggled-at 近畿 (Kinki), a rough synonym for the Kansai region. Hokkaido was designated a dō in 1869, just two years before 廃藩置県 (haihanchiken), the conversion of 藩 (han, the pre-Meiji feudal domains) into prefectures. At this time, a number of strategically important areas were referred to as 府 (fu). Osaka and Kyoto are the only to survive as prefectures using this term. Tokyo started as a 府, but was converted to the current 都 (to) in 1943 as a wartime effort to strengthen control over the capital. The remaining 43 prefectures are all 県 (ken) and have their origins in the 200-plus han that were abolished during the Meiji Era (1868-1912). Below the prefectures are Japan’s 1,700-plus municipalities, the 市町村 (shichōson, “cities, towns and villages”). Under the 地方自治法 (Chihōjichihō, the Local Government Act), a 市 (shi, city) should have a population of at least 50,000 and satisfy certain other conditions. Other legislation allows the “city” designation for municipalities with fewer people, and there does not appear to be any “downgrading” of cities that fall below these thresholds. For municipalities smaller than cities, whether they are 町 (machi/chō) or 村 (mura/son) is left to prefectural regulations. Some prefectures allow towns with populations of as little as 3,000, and some prefectures have no villages at all. This is partly due to the 平成の大合併 (Heisei no dai gappei, the Heisei Era mass consolidation), an effort to eliminate wasteful duplication of administrative infrastructure by combining municipalities. As a result, Japan now has roughly half the number of 市町村 that it did just two decades ago. The three-layer cake of government is complicated by the designation of 20 of Japan’s major cities as 政令指定都市 (seireishiteitoshi, cities designated by Cabinet order). To qualify for the designation requires a population of at least 500,000, but once granted results in the city assuming administrative and fiscal responsibility for many functions otherwise left to prefectural governments. Such cities can also establish administrative subdivisions known as 区 (ku, wards). However, these are different from Tokyo’s ku, which are technically 特別区 (tokubetsu ku, special wards). Special wards have elected assemblies and executives and are comparable to cities or other municipalities; ku in other cities do not. For most people, though, the main distinction is that if you live in Tokyo or a seireishiteitoshi, most of your interactions with government will be at a 区役所 (kuyakusho, ward office), while if you live in a “regular” city they will be at the 市役所 (shiyakusho, city hall). If you deal with a 町役場 (machiyakuba, town office) or 村役場 (murayakuba, village office) you are probably within walking distance of rice paddies, cows or a quaint fishing port. Interestingly, the system of prefectural and municipal governments is not mandated by the Constitution, which only refers to 地方自治 (chihōjichi, local self-government or local autonomy — the English version uses both to express the same Japanese concept) and requires 地方公共団体 (chihō kōkyō dantai, local public entities) to have elected executives and assemblies. Although chihō kōkyō dantai is the statutory term, prefectural and municipal governments are more commonly referred to as 地方自治体 (chihō jichitai, local self-governing entities), or just 自治体 (jichitai). Japan also once had 郡 (gun, counties), a term that survives as a component of some rural addresses but is no longer a meaningful administrative unit. A similar remnant is 字 (aza), a vestigal denotation of a municipal subdivision. Then there is 集落 (shūraku, hamlet), which describes a small collection of dwellings but is free of any tedious bureaucratic connotations. The plethora of prefectural and municipal governments is sometimes criticized for wasteful overlap. Transition to a more federal 道州制 (dōshūsei, system of states/provinces) in which a smaller number of 州 (shū, states/provinces) would have far greater autonomy is under discussion by Japan’s leaders. 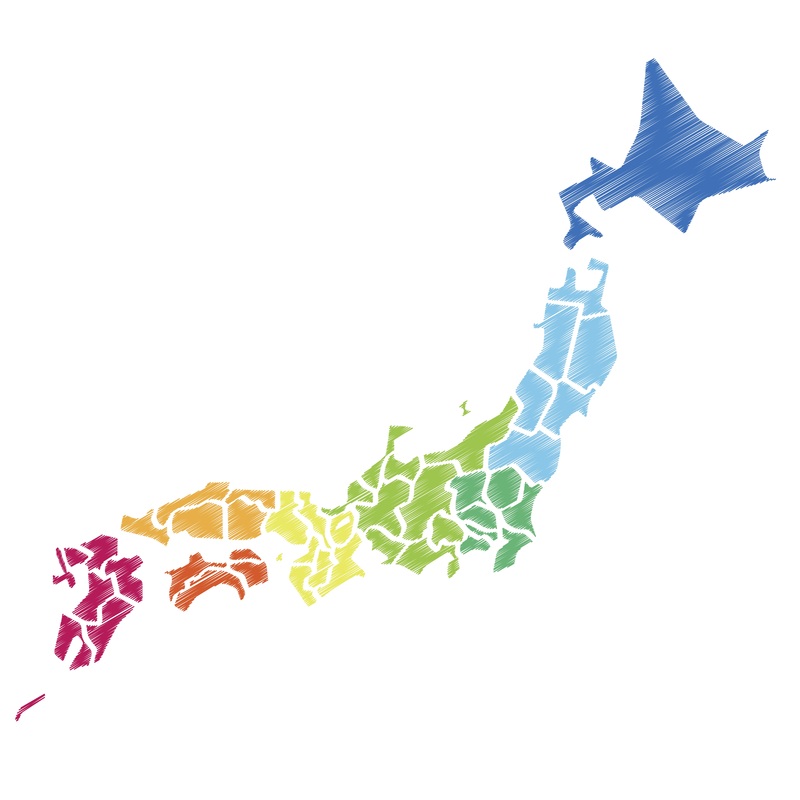 However, given the antipathy between some neighboring prefectures (Kyoto and Osaka, for example), the mergers required to achieve this goal might prove difficult, to say the least.